The kitchen is my happy place but I am staying away from it, at the moment, due to the heat! I am grumpy as a result of not spending enough time in my kitchen or maybe I am just grumpy because it is so hot! Luckily I found some inspiration and made this basil pesto chicken and bacon salad. It was a life saver, since I could be in my happy place for a while, but not long enough to get to hot. 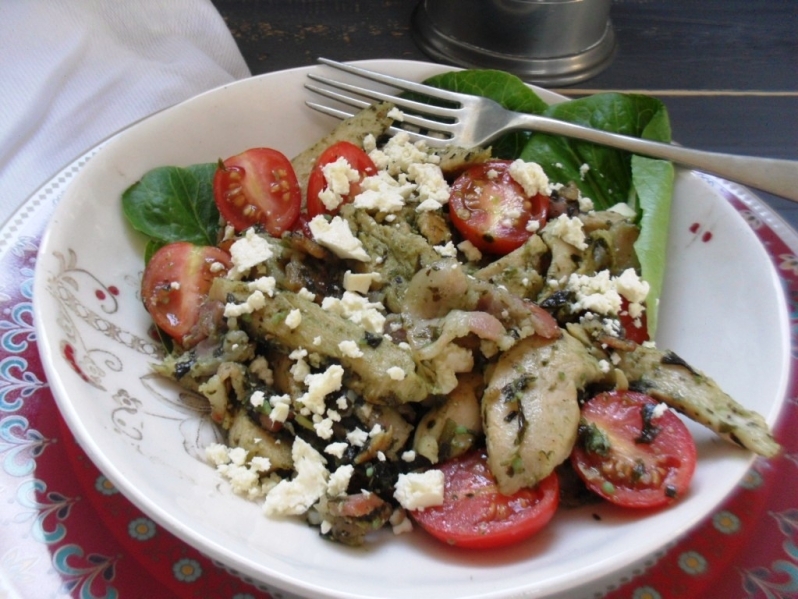 The basil pesto and bacon salad is quick and easy to prepare. It is delicious and I am once again surprised at how delicious something made of such simple ingredients can be. 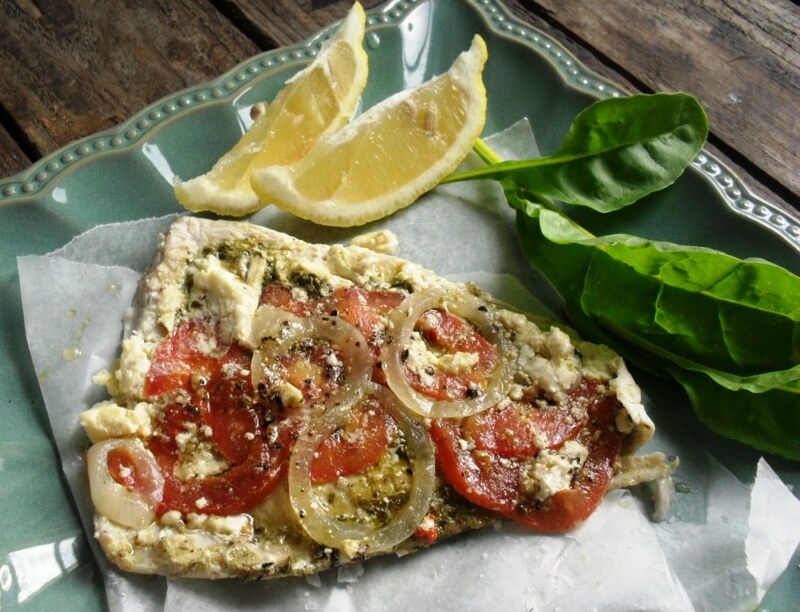 You can make your own basil pesto or use shop-bought pesto. 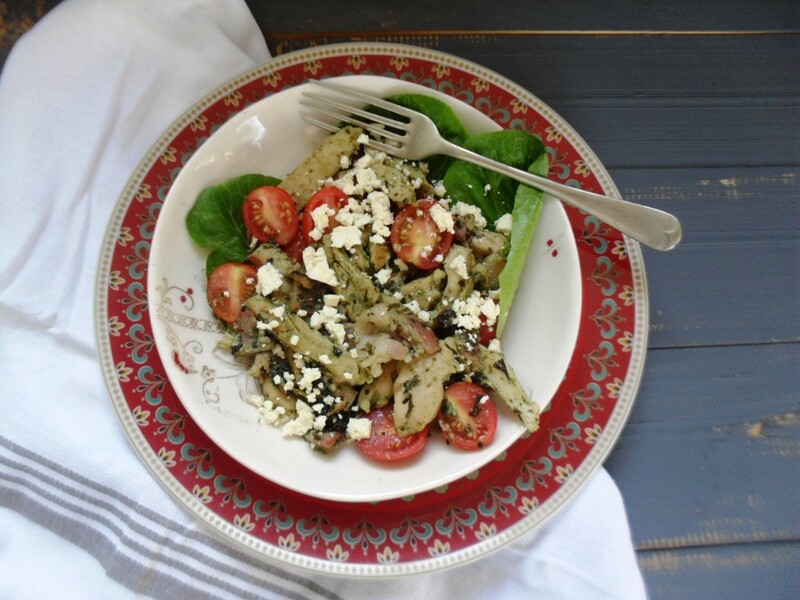 The first time I prepared this salad I added mushrooms and did not serve it with the feta. It was delicious both times; you can add 125g mushrooms and fry it with the bacon and chicken if you prefer. It seems like everyone is banting at the moment and this is a good dish for banters and people following a low carbohydrate, high fat diet. The schools are opening this week and the year is in full swing again. 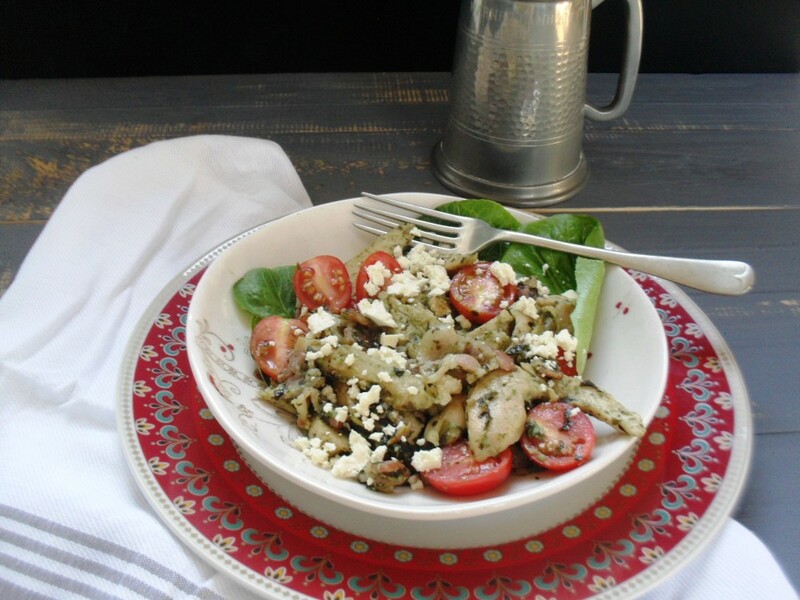 This basil pesto chicken and bacon salad is a perfect weekday dish. It is also a great lunchbox salad, so double up and use what is left-over for lunch. Heat the olive oil in a heavy based pan and fry the bacon and chicken until the chicken is cooked; approximately 10 minutes. Season lightly with salt and pepper and remove from the heat. Add the basil pesto and stir through to cover all the chicken and bacon pieces with the pesto. Place some Cos lettuce leaves on a serving tray and spoon the chicken-bacon mix on top. Add the sliced tomatoes and feta. I hope you will have a fabulous 2016 with lots of fun in the kitchen! For the vegetarian version, just take out the bacon and chicken. (Only kidding!) Looks good. I hope the weather has finally cooled off. Your salad sounds really good and perfect for our Florida weather.